Conversation came easily to this well-dressed and smiling senior, sitting across the table on Kerckhoff Patio. As he discussed his time at UCLA, his responses held great appreciation for his experiences. “You see people who are in their 50’s and 60’s, alumni who come back, and they’re still so proud to be a Bruin. It’s just such a great tradition to be a part of. I’m definitely glad I got to be here and experience that,” he said. He also expressed amazement at the aesthetics of campus, which was apt as the sun was just setting and casting a warm glow across the bricks of Moore Hall nearby. Just as warm in personality, he was amiable and down-to-earth. 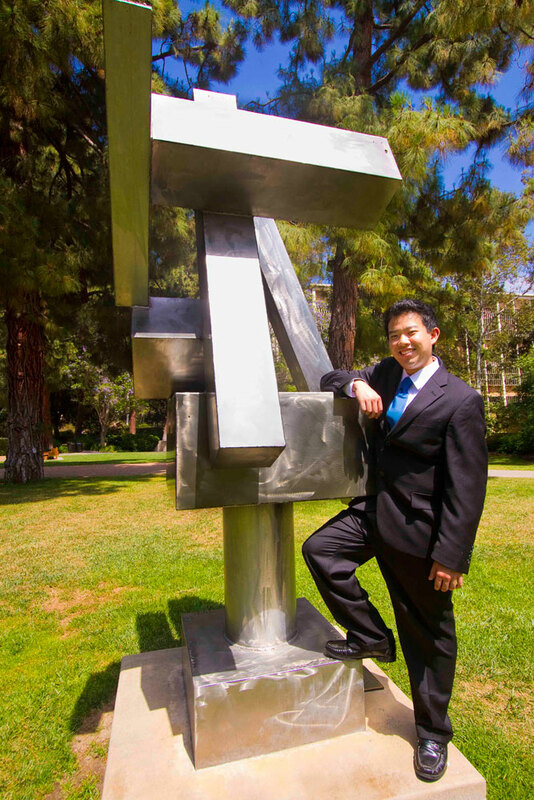 With maturity and confidence, fifth-year psychobiology student Anderson Nguyen shared just how much of an impression UCLA has left upon him. In addition to his community service work, he set out to further influence the lives of others by establishing Bruin Initiative SAT/College Prep Program, a service project under the UCLA Community Programs Office. Aimed at lessening educational disparities, the group worked to provide SAT preparation classes for under-served high school students. 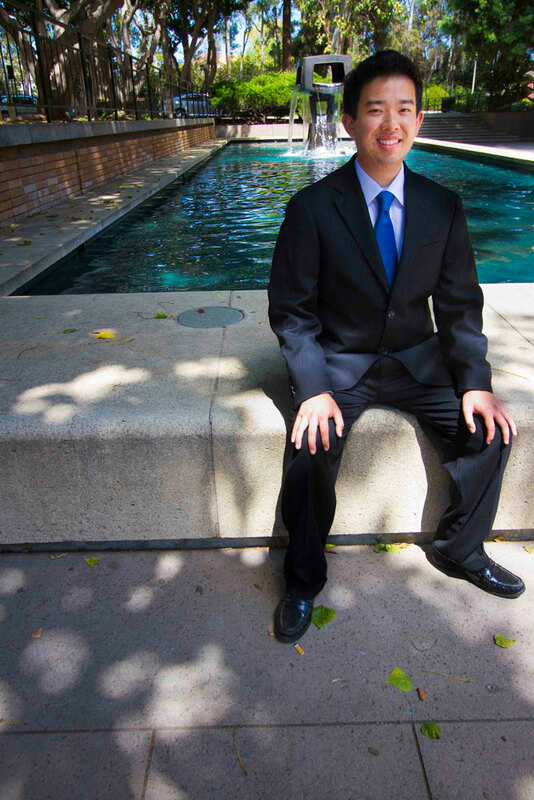 Nguyen’s inspiration came from noting how his classmates at Long Beach Polytechnic High School were commonly turning to SAT preparation courses, which were expensive services. “I thought that money shouldn’t be a limiting factor as to whether or not you had access to prep material and teachers and these services,” he said. After interacting with the kids throughout the first year of its inception in 2008, Nguyen and other co-founders felt it was prudent to expand the program to also include a mentorship aspect. He noted, “A lot of these kids – they’re really bright – but because of the lack of support, socially or financially or whatnot … they’re not as confident in their abilities. 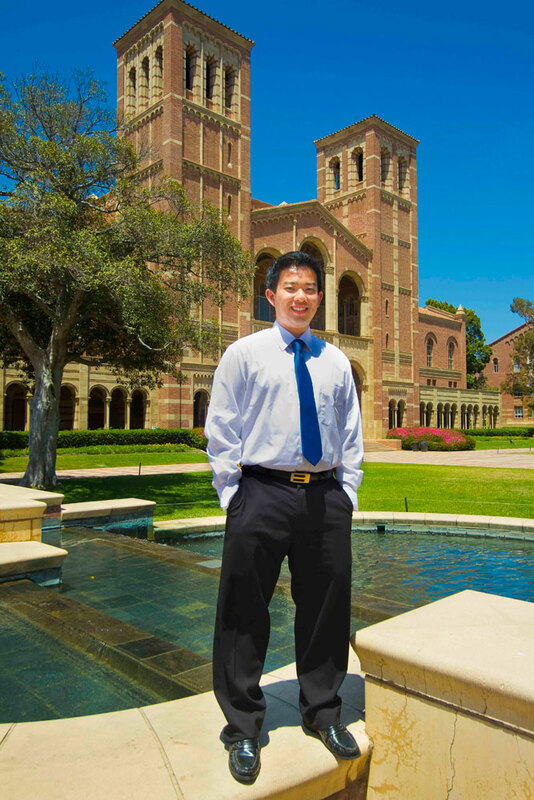 I think what our program did was to make them realize that they are really great individuals not only in the classroom but also outside.” Several of Nguyen’s mentees even went on to attend UCLA, as he found out after encountering them in Hedrick Dining Hall. Before they left, Nguyen and the remaining two co-founders worked to help transition the program into the hands of new leadership. As for Nguyen’s academic pursuits, it was hard for him to choose just one particularly favorite class. “Ahh, so many!” he said, throwing up his hands. Yet he picked out an English Composition class called Medical Narratives with Professor Kathryn Bowers and Dr. Barbara Natterson. In a class of 12 students, he was able to interview members of the medical team. “I think it’s a nice twist on things because it’s not just reporting medical cases but putting a narrative twist on it. You’re telling a story,” he said. Nguyen also sought to expand on his understanding of healthcare by taking public health classes at the University of Sussex in the United Kingdom, gaining exposure to the universal healthcare system. Nguyen sought even higher learning outside of the classroom by studying glial cell reactivity in mice models of Huntington’s disease in Dr. Christopher Colwell’s Laboratory of Circadian and Sleep Medicine. “Chris has been a great mentor, and he’s provided me with tons of opportunities to further myself as a researcher,” he noted. As this was also the same lab that Chancellor Gene Block conducted his research, Nguyen had the opportunity to interact with him not only on the level as a student but also as a fellow researcher. His efforts have culminated in being able to present a poster at an annual conference for The Society for Research on Biological Rhythms in Florida. Although Nguyen was unsure whether to pursue an M.D. or M.D./Ph.D as of yet, Colwell’s guidance had influenced him greatly, as he wished to continue his involvement with research in some capacity throughout his professional career. When he was not working hard in the classroom, lab, or community, Nguyen considered himself an avid sports fan, especially of basketball and water polo. Stemming from his involvement as a water polo player in high school, he tried to attend every home game of the men’s and women’s water polo teams. He added, “The biggest games of the year though, like when USC comes to town, I’m definitely always there.” This enthusiasm extended to attending football games and the traditional Beat ‘SC rally, where Nguyen was always prepared to join in on an 8-Clap. Aside from attending athletic activities, this active senior had fond memories of other campus experiences. Having not experienced Spring Sing until last year, his friends wanted to make sure to cover this event before collectively leaving UCLA. He recounted, “We were in line for a good 6 hours just waiting and, by the time they got to us, it was 2 pm and they only had the $40 tickets left [laughs], so we’re like, ‘Okay it’s our senior year, we definitely got to do this.’ So we just got it, and we had third-row seats.” Additionally, Nguyen was grateful for being able to work alongside good friends on the Bruin Initiative SAT/College Prep project. “To be a co-founder and also to be best friends with these people is one of the greatest things, I think, because we all still keep in touch and it’s nice to have people that share your interests but are also so passionate and driven,” he explained. After graduation, Nguyen planned to take a gap year before applying to medical school the following summer in 2013. Just as he had been productive throughout his undergraduate career, he intended to make well use of his time by finishing his research project on glial cell response and resultant circadian deficits in Huntington’s disease. Additionally, he looked forward to being on the sidelines of games, matches, and meets, not just admiring as a fan but doing coverage as a Daily Bruin Sports staff writer. As his chapter with UCLA came to a close, Nguyen advised, “Develop an interest and channel that into becoming a passion of yours. I think that definitely allows you to speak a little more confidently and you can speak with a passion.” Although he initially came in as a shy freshman, he took advantage of opportunities, growing into a strong leader and avid scholar. As a mentor, he helped foster that same self-confidence and provided access to higher education for prospective high school students, developing the next generation of leaders. Taking away many important lessons with him, Nguyen has a bright future ahead as he pursued entry into medical school and eventually his license as a physician.